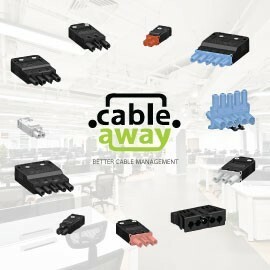 Cableaway brings you a high quality cost effective plug and play wiring system to help you install faster than ever before. Cableaway's soft wire products are available from a 2 pole system, up to 6 pole system for the distribution of lighting or power applications. Soft wire products and Accessories There are no products in this category. Soft wired in desk power outlet box.